For the past few years, two very different groups have battled over the use of solar power. The fossil-fuel side touted cloudy days and rainy seasons as proof against using solar energy, while the renewable energy side showed statistics to prove the advantages of using PV solar panels. Although the battle is still being waged by a few individuals, most people now believe that solar power can be the energy source of the future. Solar power help protect the environment and help you save many rising costs. Here are four reasons a local solar contractor believes solar power is for you and your family. PV solar panels can collect a free energy source. The sunlight is an inexhaustible supply of energy and will be for hundreds of thousands of years to come. Solar panels can provide electricity, but they can also heat your home. Using a thermal system in the solar circulating arrangement, the sun’s energy can also be converted into heat. The price of electricity keeps rising. Fossil fuels are slowly disappearing, and as they diminish the cost of electricity will almost certainly continue to rise. Solar power improves security against blackouts. Since the extra power generated is stored in a battery unit, when a blackout hits others, solar power users are secure. With strong advantages, solar power not only offers a renewable energy source, but it can also provide a cleaner, smog-free future. 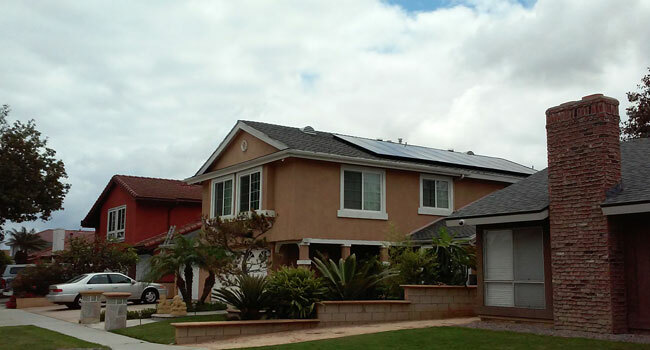 Besides all benefits, solar panels can increase property value when you sell your house. Search for a solar contractor near you and begin the journey into an opportunity filled with energy security that is environmentally friendly.